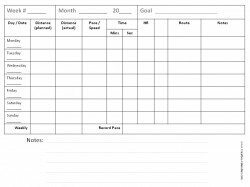 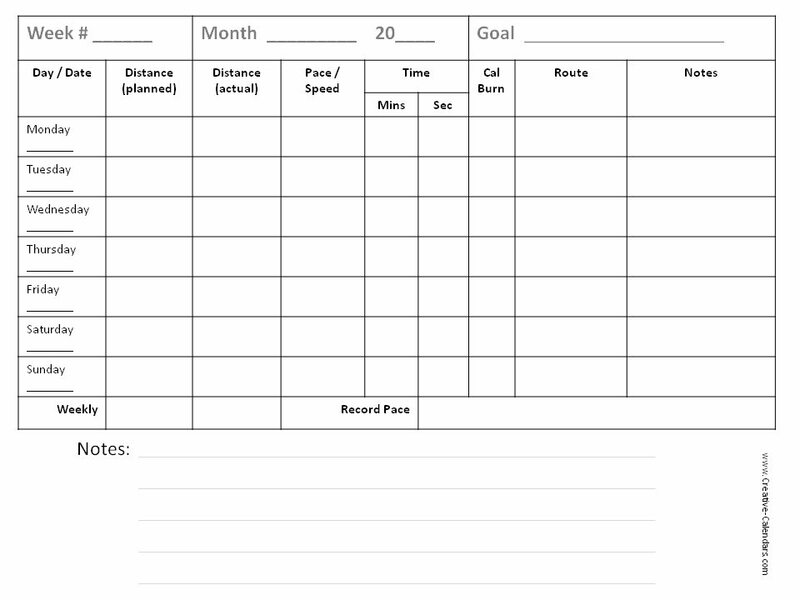 Free printable running log to keep track of your running goals vs actual progress. We offer various versions to track different parameters in both color and black and white. 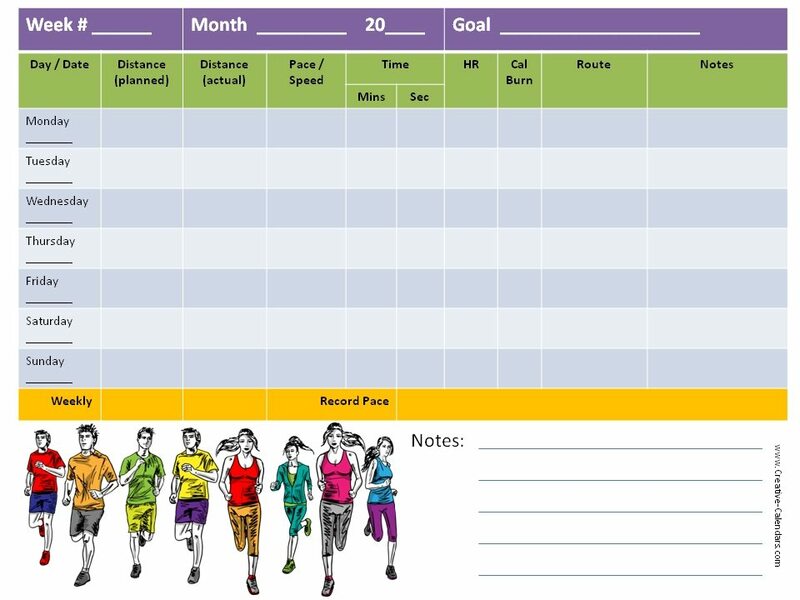 Choose the running log that best meets your needs or use our Powerpoint version which can be customized and personalized. 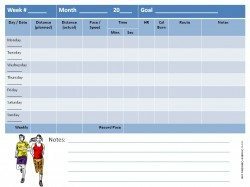 This running log records the distance you ran (planned vs actual), your pace or speed, the time you spent running, your average heart rate, calories, the route you ran and how much you ran the entire week vs how much you planned to run that week. There is also space to record your best time or pace that week. 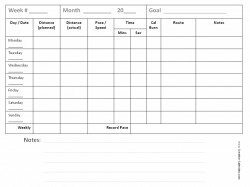 There is a section for notes to record whatever your want. 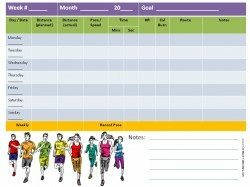 This running calendar is similar to the one above but is more colorful and fun. 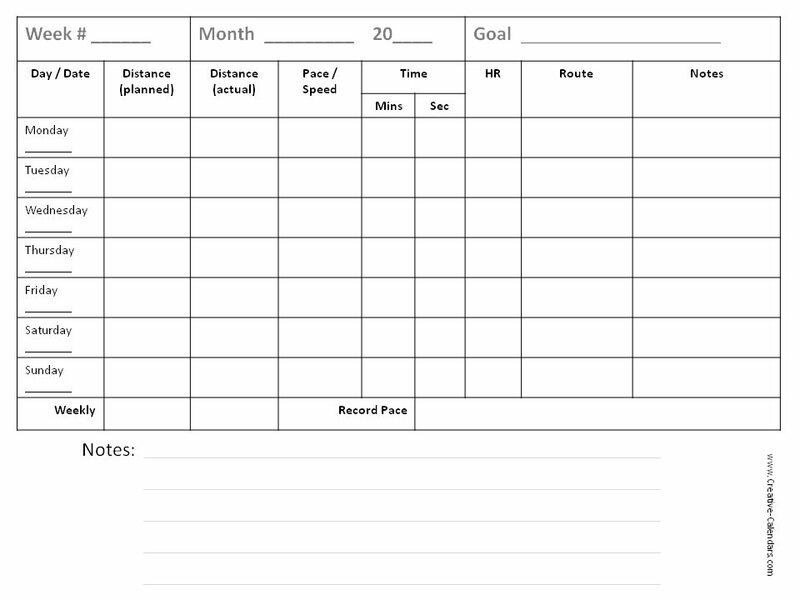 This running log is similar to the ones above but it is a black and white version for those looking for a more formal running log or for those who prefer to save ink. This running log does not record heart rate but it does record the distance you ran (planned vs actual), your pace or speed, the time you spent running and the route you ran and weekly summary and record. 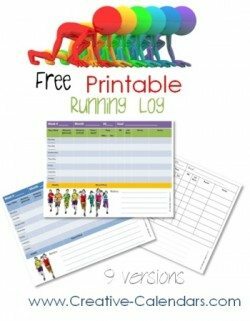 This running log is similar to the ones above but it is a black and white version for those looking for a more formal running log. 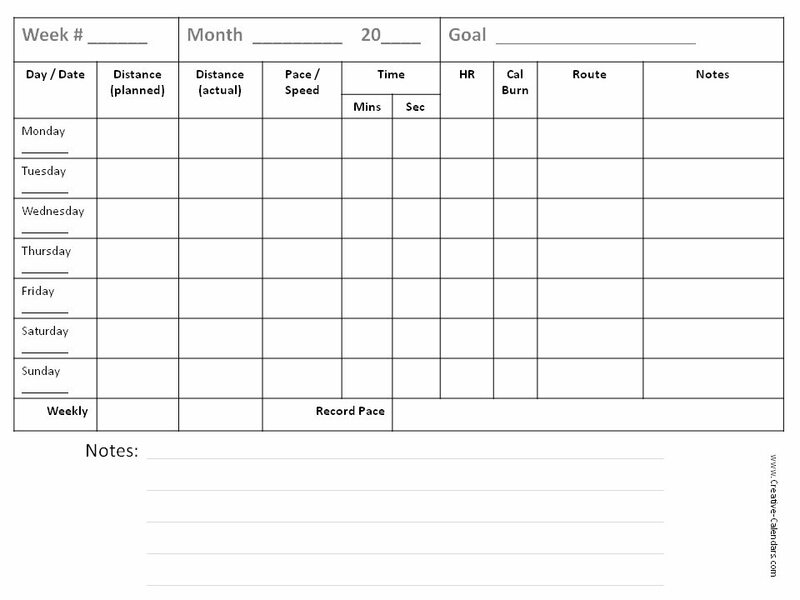 This running log has a blank column to add additional information. You could add how you felt or any other info from your heart rate monitor such as the suggested recovery time, VO2max, peak training effect or any other parameter that you would like to record and track. This version does not include the calories. 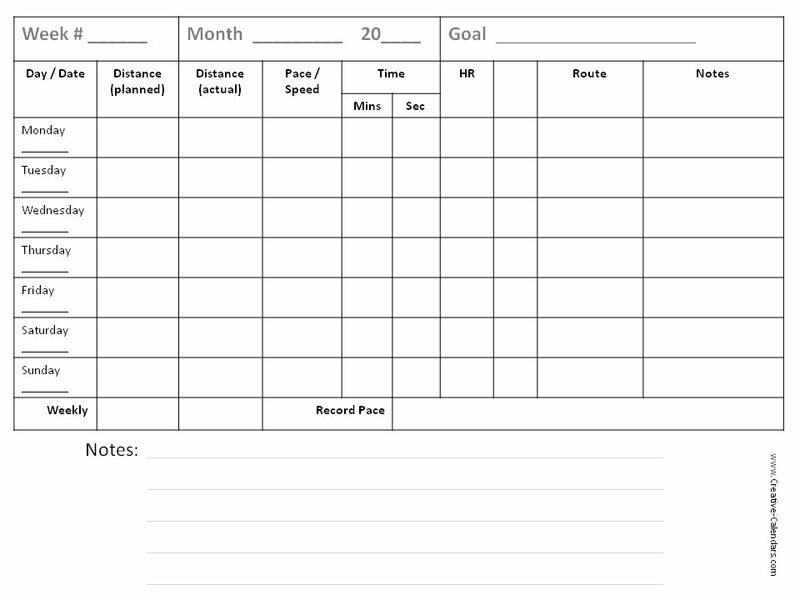 This is a black and white version of the running log with no mention of calories.